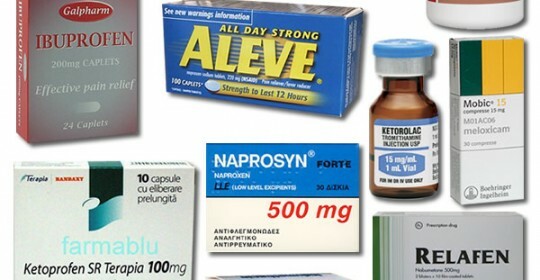 The Food and Drug Administration ( FDA ) strengthened the warning labels this week on a host of over the counter ( OTC ) drugs known as NSAIDs – non steroidal anti inflammatory drugs. This includes popular OTC medications such as Advil and Aleve, as well as prescription drugs Celebrex and Voltaren. What does this mean? Ever since Vioxx was removed from the market, it has been suggested that there is an increased risk of vascular events ( heart attacks, strokes ) with the use of NSAIDs. It is not known how Serious this risk. Is it 1 in a 100 patients, or 1 in a million? Given the huge number of people who regularly take these drugs for pain relief, it is unlikely that there is a dramatic risk. What does this mean for you? As with all medications, take drugs as sparingly as possible. All of these medications cause salt retention and increased blood pressure, so people with heart failure or kidney disease should avoid these drugs as much as possible. However, if you are having serious inflammatory pain, and are generally healthy, the risk is very small.